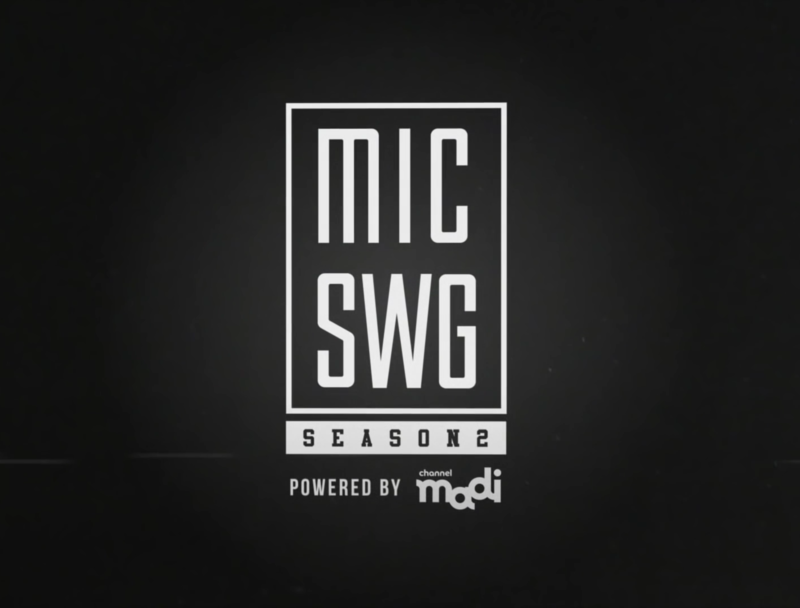 The season finale of Mic Swagger II dropped on the internet just before the year ended, the video featuring Dok2 wrapping up a series created by hip hop and reggae artist Nuol. Mic Swagger started out in 2009 as a video series on YouTube that featured underground rappers as they rapped freestyle. After a long break of seven years, the series was finally revived in 2016. As the year comes to a close, Mic Swagger II ends with its grand finale of the Mic Swagger Concert Vol. 1 on the last day of 2016. This second season has produced performances of quality, musically and production wise. Very evidently, certain rappers that have taken Korea by storm today appeared and reappeared in both seasons despite the gap in time. On the other hand, the show continues to be a platform for new talents to be discovered. In the recent few years, hip hop has nudged its way into mainstream Korean entertainment. Mainstream entertainment continues to tie itself to hip hop, with shows like Show Me The Money, Unpretty Rapstar and Hip Hop Nation gaining popularity. The hip hop scene in South Korea, most prominently represented by underground and non-mainstream rappers, remains in a state of constant flux. The progress of Mic Swagger in the span of seven years speaks of its unending negotiation with the mainstream. In a special episode of Mic Swagger II, host Huckleberry P revealed that the first series was shot with only two to three people and a couple of cameras on the set. Rappers came on camera and did freestyle rap without any makeup on whatsoever. In 2016, the set consisted of numerous cameras, lighting and so many more people involved in the shoot. Many shoots are taken in a single day, with rappers rotating between shoots, requiring the host himself to adapt accordingly and produce numerous freestyle raps in return. To a certain extent, Mic Swagger II situates itself both as a counterpoint to mainstream television while simultaneously being married to the mainstream. This relationship reflects the perpetual tension between the hip hop scene and mainstream entertainment in South Korea. Mic Swagger II remains an internet series, but the difference lies in it being distributed by Channel Madi and Mnet. Season two of Mic Swagger lays itself out as a point of convergence between mainstream and underground. However, with the history of the series, it presents itself as a stage that ultimately belongs to the hip hop scene. Instead of pushing hip hop into the frame of mainstream entertainment, the show diverts the spotlight onto these rappers thriving within the (non-mainstream, underground) hip hop scene. By retaining the manner of distribution and style of interaction onscreen, the series keeps its flavour and purpose while drawing in new audiences. Looking back on the original Mic Swagger, it offered itself, perhaps, as a broadcasting platform serving the hip hop scene that had been largely out of the mainstream spotlight. The line-up then consisted of rappers who have since carved their name into the music industry today. These individuals have grown from what can be said to be a fairly unknown position, into being showered with fame. Seven years ago, The Quiett was on Mic Swagger. Today, he is co-founder of Illionaire Records. Even Block B was featured on the original series of Mic Swagger, represented by Zico and Park Kyung. Mic Swagger was indisputably an alternative to the mainstream, in the same way hip hop continues to be. Seven years is a sufficiently long time for people to forget but also to reform their identities. The time that has passed also allowed space for the line between hip hop and mainstream to blur. Rappers that have appeared on Mic Swagger in the past have redirected the spotlight on themselves mostly through Show Me The Money. 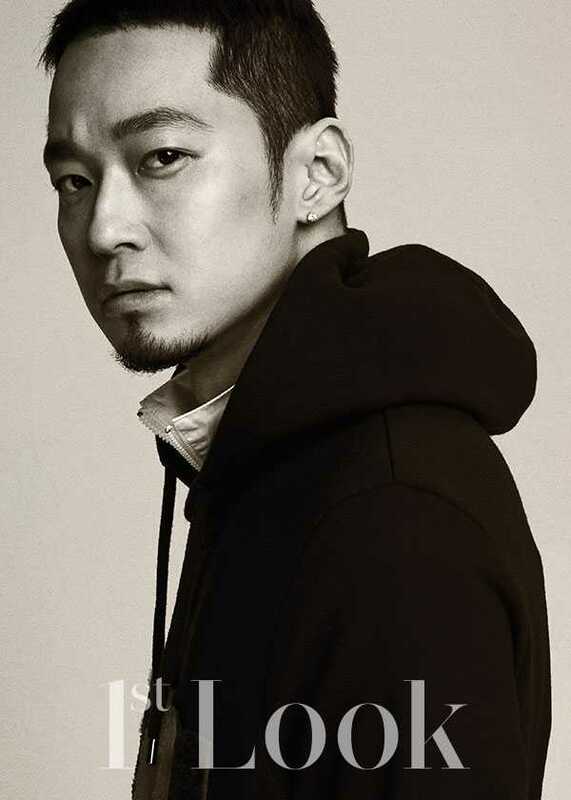 Swings, Vasco, Basick are all individuals that have progressed far through the television show – a phenomenon that was unfathomable seven years ago. 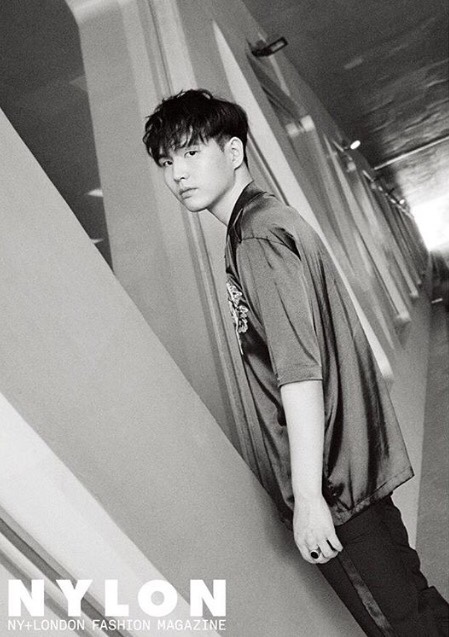 Mic Swagger II sees guests like CJAMM coming onscreen, with the rapper himself being a runner-up to the recent Show Me The Money 5. As underground and mainstream continue to interact with each other, Mic Swagger II can no longer exist as separate from the mainstream but closely intertwined with it. An audience would have to oscillate their attention between both arenas of performances because mainstream entertainment only offers a peek into this world of underground hip hop that the audience must delve into on their own. The influence of mainstream entertainment lies in its ability to redirect attention from others outside the hip hop scene, going beyond Korea to an international audience. Admittedly, international fans have difficulty finding out what goes on in the streets of Korea, or in the underground hip hop scene. The language barrier itself poses an obstacle in addition to a lack of physical access. Technology has helped in the communication of information but mainstream media remains vital in making an artist known to the rest of the world. However, there remains a struggle between appearing on television and staying out of it for rappers. Many of the raps in Mic Swagger II are dismissive of Show Me The Money, indicating the contention with mainstream television shows that appear to appropriate the culture of hip hop, leading to a desire for the hip hop scene to remain ‘underground’. There exists a resistance against entering mainstream entertainment, because the hip hop scene ultimately has its roots in being an alternative to the mainstream, an outlet for identity to be found and difference to be expressed. Nuol expressed that Mic Swagger is a show that only the real appear in. The definition of real, though, remains up for debate. It is a volatile term that encompasses many facets of hip hop music, of rap music. The initial series of Mic Swagger was a place for freestyle rap to take the stage, a place for skill to be showcased. Mic Swagger II has evolved from that, hovering between brilliant freestyle raps to ones that have been written in advance. Both might be equally impressive lyrically, but is the title of ‘pure freestyle’ in any way more valuable? Considering the history of the series, it might be. Rappers like Olltii, Xitsuh and Zizo do not disappoint with their freestyling, with the first two being crowned as brilliant freestyle rappers. On the other hand, Tymee straight-up admitted that her rap was not a freestyle rap. Nonetheless, the rap carried her style and attitude along with the beat to deliver a quality performance. She, with Sleeq, are the only two female guests but that itself is a step from seven years ago, which had an all-male guest list. Veteran rappers like host Huckleberry P first appeared as a guest on Mic Swagger in 2009. His one-take freestyle rap became a legend. The viewer ratings for the video he featured in skyrocketed and influenced other younger rappers like Olltii to start rapping. In 2016, original Mic Swagger host Sool J was a guest on Mic Swagger II. The span of seven years really found itself as a period of growth, but also proved the potential that Mic Swagger might possess for a rapper that comes onto the show and the influence of the show itself in fostering new talents. Mic Swagger II has made a difference in retaining its stage as one that belongs exclusively to the hip hop scene, while simultaneously reaching out to a global audience with the help of mainstream channels. English and Chinese subtitles are made available, not requiring secondary translations by fans. What this means is a willingness to go beyond the local, but it does not mean a betrayal of the authenticity of South Korea’s underground hip hop scene. The rappers invited on Mic Swagger hardly appear on television but they are spitting out brilliant records and selling out concert halls. This is an explicit message that Mic Swagger will remain a platform for the hip hop scene to shine rather than selling it as a trinket for the mainstream to mutate or reanimate. It is a brilliant move that draws others into this world of music less advertised to the public. The growth of Mic Swagger in the span of seven years indicates an evolution in South Korea’s hip hop scene. The manner in which Mic Swagger II presented itself is a comforting one, simply because it is a show that has not yielded itself entirely to mainstream entertainment. On the other hand, it is a show that acknowledges the role of mainstream media channels rather than stubbornly denying this gradual blurring of lines. Perhaps a good answer to the continued tussle between mainstream and underground would simply be to acknowledge the dynamism between the two worlds. The conflict exists but it is one that allows both to evolve with time. At times, paths converge and at times, they diverge. Voices enter and exit the mainstream from the underground time to time. Ultimately, it seems that this constant negotiation is an indicator that South Korea’s hip hop scene is still thriving and alive, that it is still fighting to assert its identity in the world. Cleverly constructed, Mic Swagger II insists on preserving the flavour of South Korea’s hip hop scene. With new faces that appear alongside well-trained rappers, Mic Swagger II inscribes itself as an entry point into Korea’s underground hip hop scene. It showcases the best that the underground hip hop scene has to offer. In the process, the show invites its audience to peer into this fascinating and dynamic world filled with talented individuals. It is a world that hardly appears on television screens, but thanks to Mic Swagger, it is a world that has become within our reach.